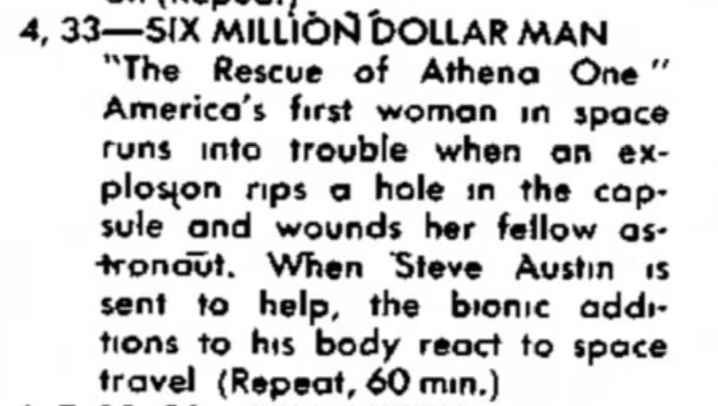 "The Rescue of Athena One" got a repeat showing on this date in 1974. H.S. 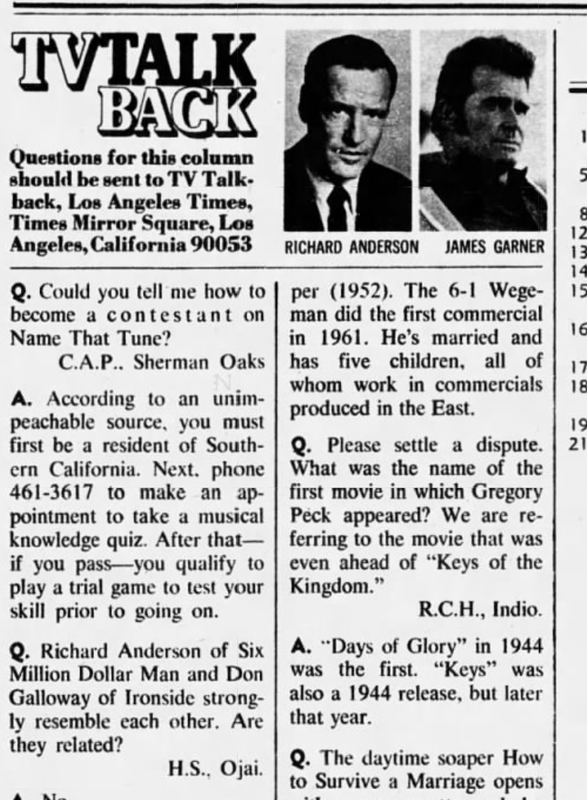 from Ojai asks if Richard Anderson and Don Galloway are related on this day in 1974. A quick answer ends the discussion. 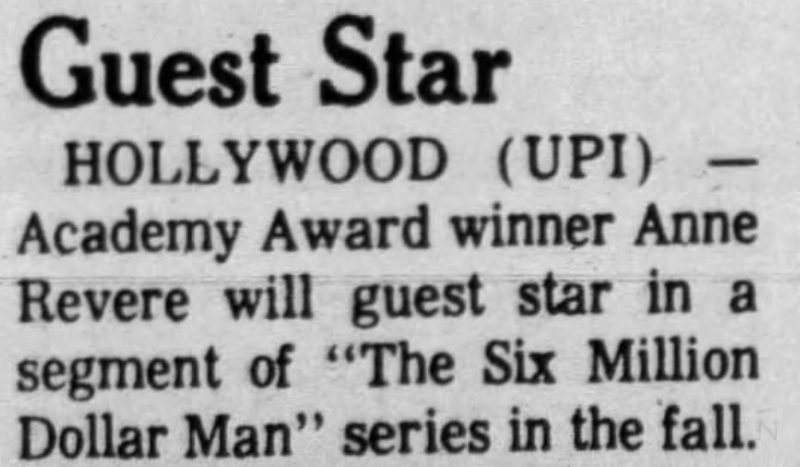 Oscar winning actress Anne Revere to guest star in an upcoming episode of THE SIX MILLION DOLLAR MAN. 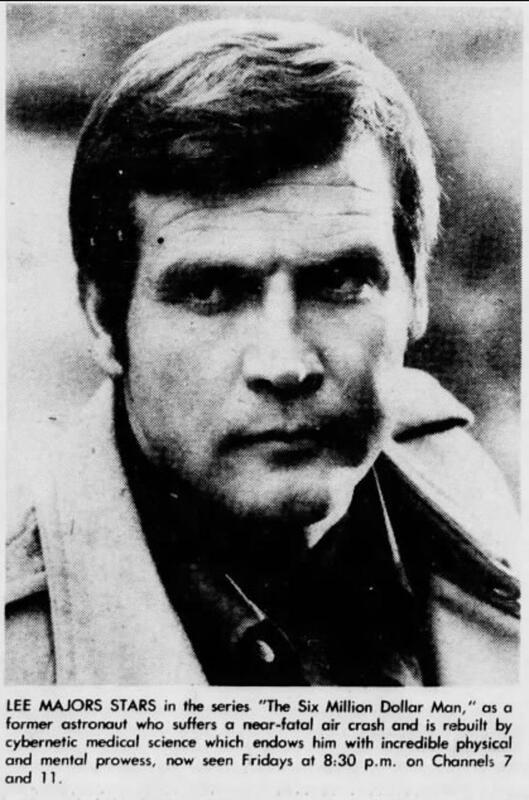 A nice promo image of Lee in papers on this day in 1974. Publicity photos for the repeat showing of "The Rescue of Athena One". 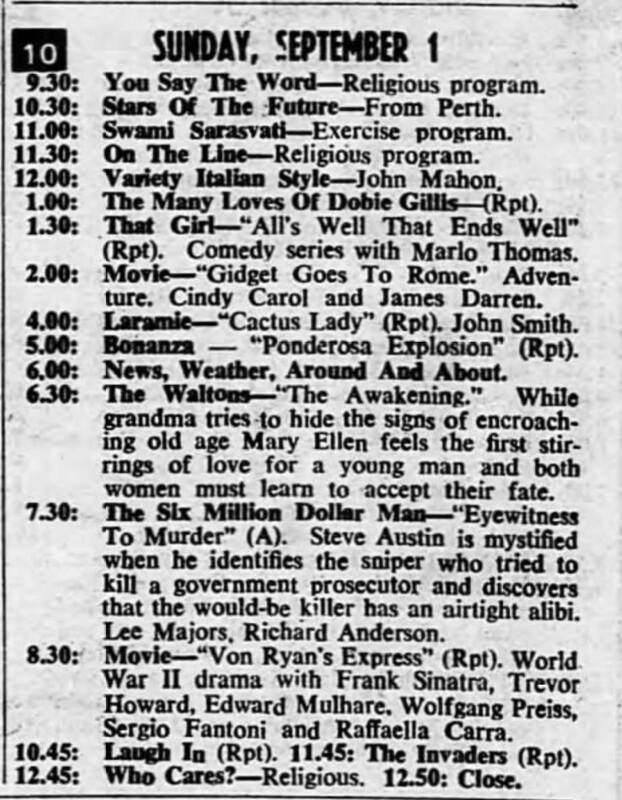 "Eyewitness to Murder" premiered on Australian TV on this date in 1974.